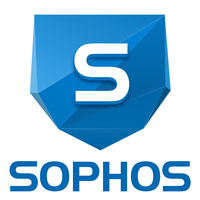 Sophos Secure Web Gateway is a software that utilizes the resources of our globally-deployed cloud infrastructure to provide user with big-data reporting without the need for onsite servers or management overhead. Work for Sophos Secure Web Gateway? Learning about Sophos Secure Web Gateway? "Great software for large network"
The institution I work at, a large, public university, installed Sophos on all of its in-office desktop equipment, as well as technology such as iPads and Microsoft Surfaces that are issued for remote employee use, in 2016. Since that time, our school has seen a significant decrease in malware on our devices. There are times when employees have tried to access websites that we know are void of malicious threat, but we're denied access by Sophos. Overriding Sophos is impossible. Ultimately, this is keeping malware off of our devices, extending their usable life, and holding employees accountable for how they use their devices by tracking the websites they access that contain malware. "Great with Scan and Notification"
I use Sophos at my new company, installed it about a month ago. I really like that it runs in the background and there's nothing required by the user. It has alerted me multiple times about a SpiGot that's been detected and the file path of the threat. This helps me feel confident that it's working properly. it wasn't clear what I need to do once a threat is detected. I tried to find a way to delete the file/item and the only option was to login using Sophos admin creds. Since I'm not an IT admin for my company, i opened an internal ticket. My IT Helpdesk was able to look at my instance and notify me I was ok, but (as a user) I'd prefer a way to delete a threat without having to open an internal helpdesk ticket. What Secure Web Gateways solution do you use? 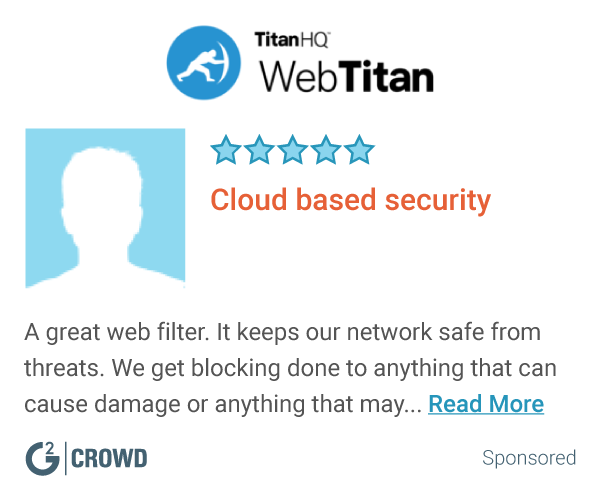 "Good web filter for an enterprise environment"
Sophos Web Gateway is cloud based uses very little ram and system resources while still doing a good job at web filtering. While Sophos is a good web filtering solution, it is not a great solution. Others like Palo Alto or Iron Port work much better in my opinion. As I stated above Sophos is a good web filter and it comes as part of a fully comprehensive security suite, so if you are springing for the security suite, no reason to buy a separate web filter. Keeping users productive by preventing them from going places that they should not go on the internet while they are working. Use but be aware that putting your computer to sleep will cause this software to bug. Adding a layer of protection from hackers but also easy to use email client with office email server. since its policy can be monitored and maintained via admin's web portal and this is pretty intuitive to navigate yourself to control your environment. Since it does work well for the banned sites or locations, i dont have any issues with this software. "Useful for protecting internet access in the workplace"
It's an easy to use web interface. We're able to manage our users devices and provide challenge/response codes as needed. I like that they have a phonetic spelling for the response codes. It's kind of an outdated web interface. It's very simple and plain. It's a great platform with top notch security. We are utilizing Sophos to safeguard authorized users and their devices.
" slowed for no apparent reasoncan get you"
"Solid and non clunky security interface"
I find that many other similar companies make it hard to use - Sophie is effective and simple. I have nothing negative to say about this software. As a remote worker, it is important to have proper access to my company information without it going to hackers. Ease of use, adaptability, functional and user friendly. I never had any issues with viruses or breaches when using sophos. I can not pinpoint any issues I had with Sophos. I was preventing security and data breeches. I’ve realized having a secure web gives everyone piece of mind. Support is hard to get in I touch with at times, wish it were faster. "A web filter proxy server without hardware"
The support from Sophos can be slow. We have had to upgrade our support to get faster answers. We are working on various compliance issues. The ease of the use that the console provides as well as the affordability of it. Keeping data secure and protected from outside intrusions. "Sophos is good for security"
Lack of customizablity. Blocks third party apps arbitrarily. * We monitor all Sophos Secure Web Gateway reviews to prevent fraudulent reviews and keep review quality high. We do not post reviews by company employees or direct competitors. Validated reviews require the user to submit a screenshot of the product containing their user ID, in order to verify a user is an actual user of the product. Hi there! Are you looking to implement a solution like Sophos Secure Web Gateway?